Digital impressions are the most up-to-date technology used for taking impressions of the teeth. There are four major scanner systems that dentists can use: Cadent iTero, 3M ESPE Lava COS, CEREC by Sirona, and E4D by D4D Technologies. With digital impressions, you no longer have to suffer through uncomfortable traditional impression trays or temporaries. 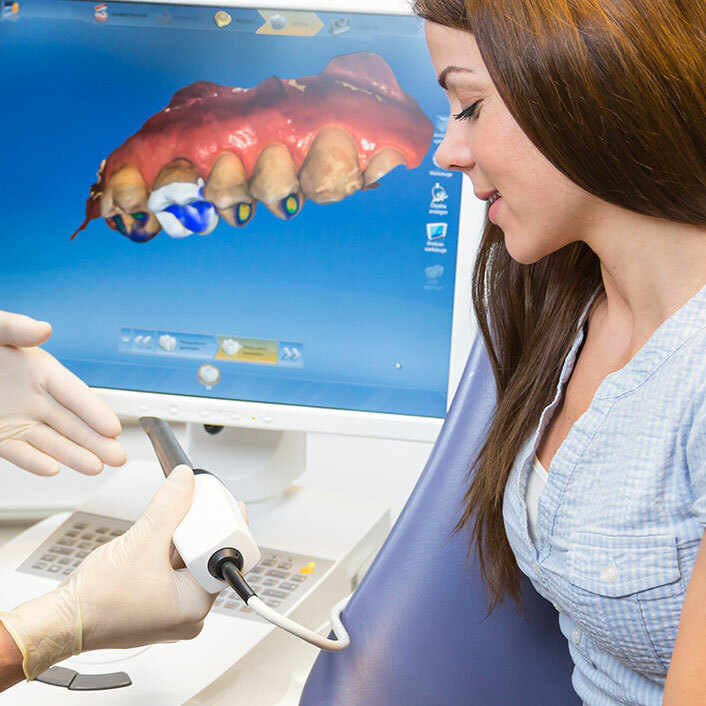 Rather, we simply scan your teeth with our impression technology to create a digital image. We then use this image to produce the restoration of choice, either on-site or through a milling lab. Once the restoration is created, we are able to blend the restoration in with your surrounding teeth, adjust as needed and give it a final polish.